We had an amazing time visiting Dubrovnik and this was definitely a highlight! Marko our tour guide was very knowledgeable and answered all my questions! My husband who is a huge fan saw everything he hoped for and i am not a fan but still had an amazing time. Ending in Lokrum was magical! This tour with Marko was amazing. He was incredibly passionate about Game of Thrones and also about his native Dubrovnik. 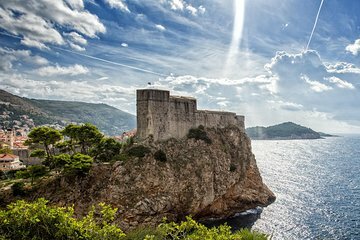 I am told that this is the only full day GoT tour in Dubrovnik and I highly recommend it. The locations are scattered around and the fact that it is a mixture of walking/car/boat makes for great variety. Go along and see for yourself. It's a wonderful day out if you're a Game of Thrones geek like me! Marco our tour guide was absolutely amazing. He was very personable and treated us like true friends. I have been on a lot of tours, i.e. Paris, Rome, etc. and he was the best by far. If you can, hook up with him.